One spaceship bounces off the d\edges of the window. Demonstrates collisions with the edge of the game screen. Two spaceships fly around bouncing off a planet and each other. Demonstrates how to call the bounce function for the two entities involved in a collision. The planet is assumed to have infinite mass relative to the space ship. Demonstrates displaying semi-transparent images using the Alpha channel. 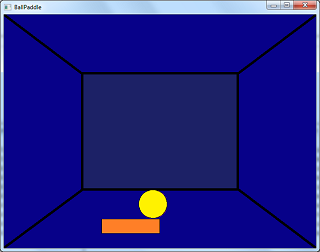 A yellow ball bounces inside a blue box and off the paddle. Simulates how gravity affects a falling object. 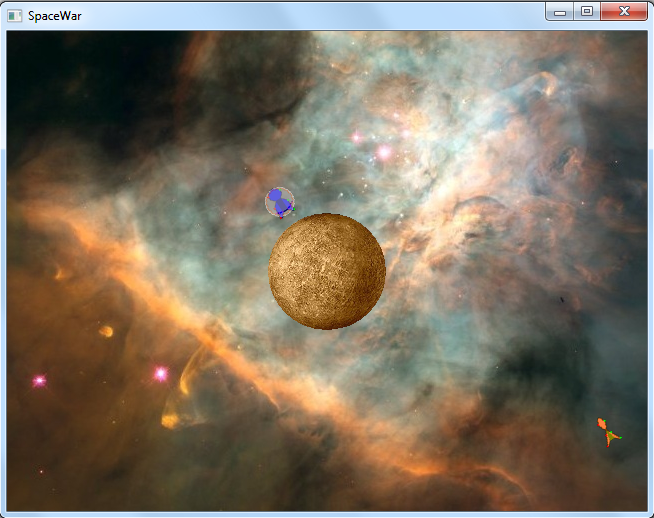 Demonstrates BALL and ROTATED_BOX collision. The paddle is moved with left/right arrow keys. A spaceship orbits a planet. Demonstrates the Entity::gravityForce function to calculate the force applied by gravity between two entities.. 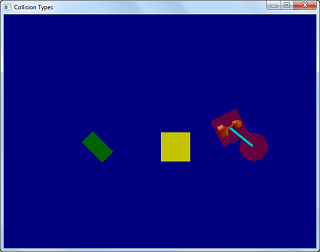 Demonstrates how the different collision types interact. Demonstrates the use of the stencil buffer. Note! Box collision is only used when both entites are using Box collision.